It was inevitable that, after so many years of Persona 4 spin-offs, 2017's critically-acclaimed RPG sequel Persona 5 would eventually follow suit. But of all the spin-offs to kick it off with it is bizarre to not only make the rhythm game titled Persona 5: Dancing in Starlight but Atlus even decided to simultaneously release another one for its less popular predecessor with Persona 3: Dancing in Moonlight. By bundling the two games, as well as a PS4 port of Persona 4: Dancing All Night, one would think that even the most devoted Persona fans would be sated by the Persona Dancing: Endless Night Collection, but does this bundle really serve fans well or does it end up extorting their goodwill? Of course, whatever flaws this collection has are not immediately discernible because of how captivating each game is from the get go. 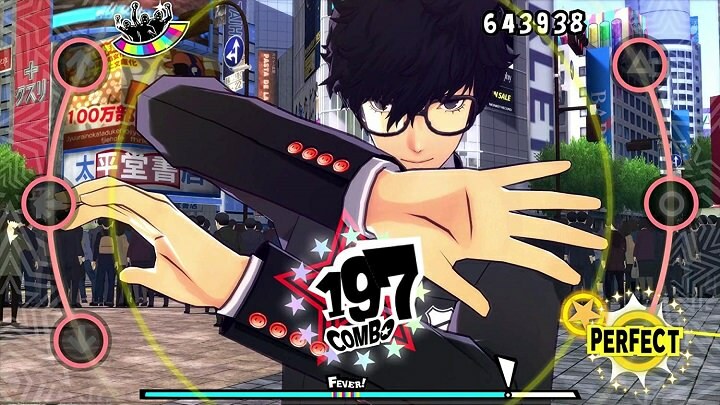 It does not really matter whether one starts out with either P5's Dancing in Starlight or P3's Dancing in Moonlight as each of them are absolutely striking from their stylish anime intro, the fluid dance movements of beloved Persona characters, slick menu interface, and plenty of other nostalgic bits and pieces. It is immediately inviting to anyone who has any reverence toward Persona 3-5 in raw aesthetic. By being seemingly aware of its primary demographic Atlus included what is essentially several minutes of visual novel-esque exposition almost immediately upon starting either P3's or P5's rhythm title. This makes it quite reminiscent of their highly verbose role-playing game adventures, right down to familiar ambient cutscene music and sound effect chimes. Character models also look gorgeous; so much so that it can be argued the Persona 3 and Persona 5 cast members have not looked better in a 3D space (well, for P3 members there should not really be any argument, to be honest). The pure visual treat is almost enough to make one forget how that they have have next to nothing of actual substance during these scenes. Almost. Unlike, let's say, Persona 4: Dancing All Night, which had a fairly in-depth visual novel story mode, the character interactions are put on the immediate wayside in both of the Persona 3/5 counterparts beyond the intro. 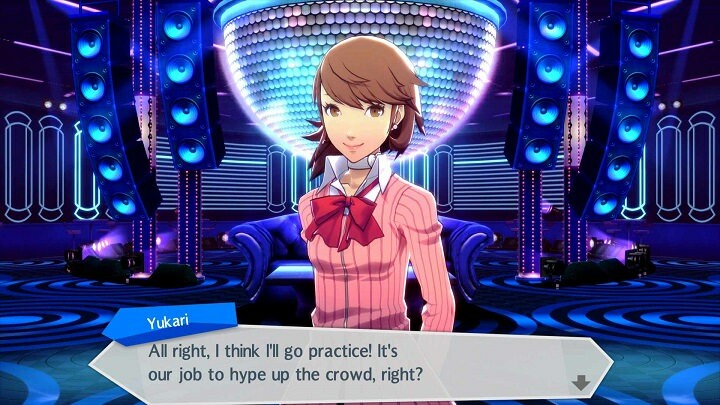 The narrative context is such an afterthought that the setup for the entire game(s) is pretty much a vague competition and everyone involved can now magically dance based on the power of their feelings (even if some had zero experience before). Which, say what you want about the quality Persona 4: Dancing All Night's story context (...and I did at some point), but the P4 cast at least earned their sweet moves through weeks of actual dance practice. The piecemeal interactions that are there are quite disappointing, especially from the Persona 3 side, which is ironic given that the original game has several really well-developed characters. This is a recurring theme of the Persona Dancing: Endless Night Collection where once you get over the charming visual veneer it is actually an extremely shallow and disappointing rhythm game experience. 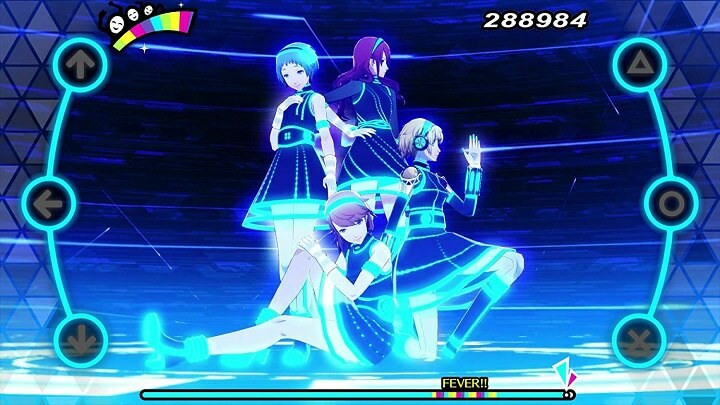 For example, those that played the Persona 4 Dancing a few years ago will be hard-pressed to notice any changes whatsoever to the actual central gameplay itself in either of the new iterations. While P4DAN was acceptable at the time as a first effort Vita-exclusive with fairly comprehensive gameplay, it had a lot basic rhythm game problems such as a lack of feedback for missing note presses, cluttered presentation for "scratch notes" that is much more glaring on higher difficulties, a broken scoring system, and a thin overall song selection. And frankly, all of these problems remain, including some new ones with the progression. The most vivid disappointment of all is that the song selection is not only paltry by having twenty six songs for each retail release (two songs being locked behind a massive amount of side objective grinding), but the song remixes themselves are really underwhelming. While the P3 side feels the weight of this slightly less due to more song variety to draw from over the years, the P5 side has several songs used three times to shamelessly pad out the total and each remix frequently blurs together in their listlessness. It is very easy to go through most of the playable content for either Dancing in Moonlight or Dancing in Starlight at just around two hours. To make the total song selection feel that much more insulting Atlus has the gall to sell a twenty-five dollar season pass for more songs. Which, by the way, the season pass does not even include every DLC song as there is an additional thirty dollars worth of character specific songs sold separately (each being five dollars). This means that if one bought the already premium priced "Endless Night Collection," Atlus still wants to exploit those same fans out of fifty-five more dollars to have a reasonable song selection alone. Although, to their credit, at least the titles have a decent selection of clothing/accessories choice already thrown in to contrast the exploitative approach of playable songs. For as awe-striking as Persona Dancing: Endless Night Collection is in visual flourishes, it does not take long for the disappointing gameplay experience to remove the hollow mask and show its true form. The collection ends up being little more than mediocre rhythm games laced with exploitative business practices on its would-be fandom. It does not matter if one is a rhythm title enthusiastic, or a passionate fan of recent Persona titles, neither Dancing in Starlight or Dancing in Moonlight deserve the money or attention for how little is offered, even when they are combined in a collection.